This is a link to a report by The Financial Times/Appraisers Workshops about a group of wealthy collectors from Europe, the Middle East and Asia who have formed their own museum association to promote their museums and share experiences. The time has come ! As an appraiser some of us get involved in donation appraisals, known as a charitable contribution appraisals and file IRS Form 8283. To the general public the Art Advisory Panel is little known but among us appraisers- at least those who work on donation appraisals – it is an invaluable resource, especially when appraising very high dollar pieces. The same Art Advisory panel considers the merits of estate appraisal values. Not too long ago I received a call from a maker, retailer and wholesaler of Japanese drums who had donated several drums to orchestras. I contacted the panel for assistance. The drums the client sold – and he showed me receipts – were in the $10,000 to $ 50,000 range. What would be allowed as a donation value? Only the material used and his labor – nothing else. 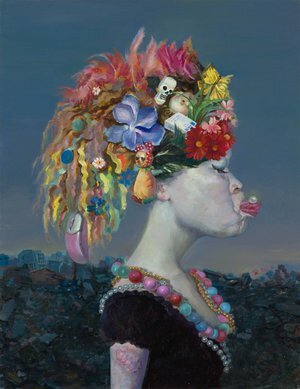 CHINA’S ART MARKET GROWING TOO FAST? The New York Times paper from May 23rd featured a center-fold advertisement of the China Daily China Watch section, in which China’s art market is highlighted. As appraisers and dealers we all lament the uneven prices brought on by Chinese buyers — in the realm of Chinese antique and contemporary art. But things are not always what they seem to be. Last year, according to this article, the Chinese art market, usually evaluated by auction results, fell 40 percent in annual sales. An additional issue for the uneven sales results — especially for the contemporary Chinese art market — is the absence of any criteria for gaging and appraising contemporary art. This makes the art work difficult to price, buy, collect and invest in. Buyers be mindful, this is riskier than in other markets. The article observes, that although Chinese buyers have prominently participated at all trade levels, local and foreign art galleries have a tough time in China for a number of reasons — aggressive Chinese auction houses, and a loose and often ineffective system of artist representation. Several local and foreign galleries have shut down in Beijing during the last year. Of the 1560 galleries in China, 742 are located in Beijing — fewer than 7% were able to make ends meet in 2012. In the Western art market, galleries play a prominent role, but in China, galleries sell less than half of the artwork that auction houses sell. CHINA GUARDIAN AUCTION, BEIJING was highlighted. At their 2013 spring auction a total of $ 418 million (2.57 billion yuan) was realized; this includes in order of dollar values: sales of traditional paintings, oil paintings, sculptural pieces, porcelain and furniture, and jade and jewelry. Top lots included calligraphy and white jade. There is no fear that the Chinese market will not continue to expand, as there are so many young and new people, a whole new generation, coming to the market. People still have money but there is perhaps some uncertainty about, and lower confidence in a slower economy. DO YOU NEED AN APPRAISER AND HOW DO YOU VERIFY THE APPRAISER IS QUALIFIED? DO YOU NEED AN APPRAISER AND IF SO HOW DO CHECK IF THE APPRAISER IS QUALIFIED? recently published the following on their blog. Establishing equitable distribution of property. Determining an art donor’s income tax deduction if art is given as a charitable donation. Proving the value of an object in anticipation of a potential sale to determine the value of an object under consideration for purchase. Verifying preparation of estate tax returns, assisting in estate planning or aiding in the distribution of assets. Helping with asset management, loan collateral and related financial and legal matters that can be tied to an art collection. What is your experience with regard to the objects to be appraised? Do you have a vested interest in the items to be appraised? What will you deliver at the end of the appraisal process? I hope this helps to understand what services an appraiser could render. I was going to write a blog about the 28 January NYT article concerning more regulations for the art market but APPRAISER WORKSHOPS got ahead of me. Here is what Todd Sigety and Jane Brennom posted on their Blog APPRAISER WORKSHOPS on January 28th. 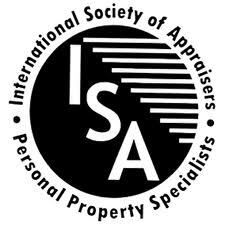 Both Jane and Todd are ISA CAPP (International Society of Appraisers Certified Appraiser of Personal Property). Jane (jbrennom@att.net) is based in Houston and Todd (toddsig01@gmail.com) in Alexandria, Virginia. The NY Times ran an article on the growing size of art sales and the need for new laws to regulate the industry in New York. Many outsiders look at auctions and galleries and think there should be more disclosures and regulations, yet many insiders and regular buyers at auction understand the process and how the system works.The article starts out looking at opening bids and bidding up to the reserve, where, in NY, the auctioneer may open at any level and increase the bidding so long as it is below the reserve. The article also looks at third party guarantees which has been a process long criticized in the press about auction sales. The article states there are very few complaints about the process, and those that do come mainly come from gallerists who are competitors. The article also looks at gallery sales and the truth in pricing law which requires items to have price tags on them. Many galleries in NY do not use price tags. The article does mention enforcement by NY State is rather lax, and that many attempts to add regulations have failed. Overall a very interesting article and worth reading.